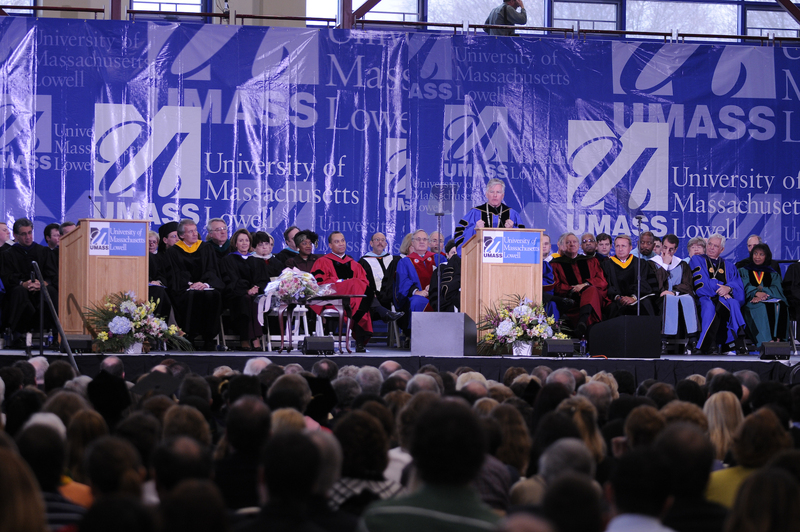 On Campus| At UMass Lowell, Healthy Growth Or Bloat? The number of full-time administrators at the University of Massachusetts Lowell is way up, according to federal data. Growing administrative ranks at colleges is a national trend, but the seven-fold increase on the Lowell campus over the past ten years stands out as one of the highest. 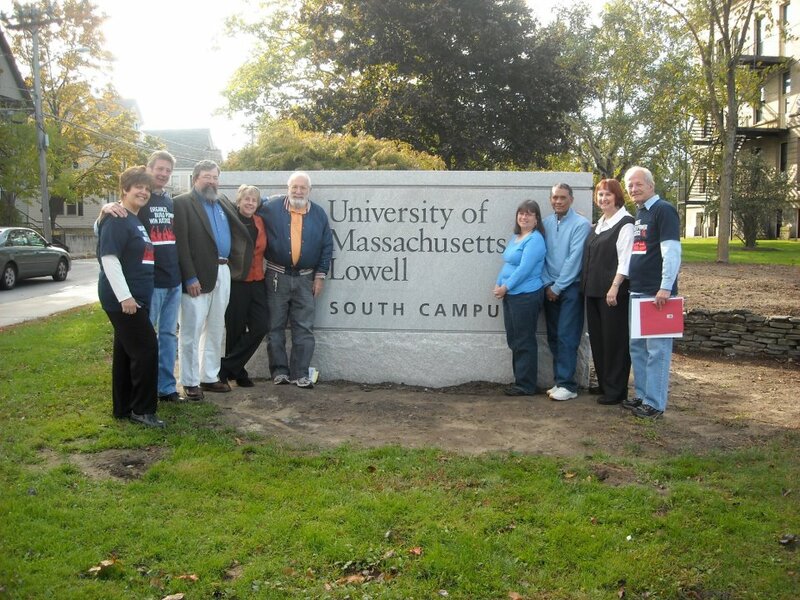 Read more at WGBH: On Campus| At UMass Lowell, Healthy Growth Or Bloat?. Update: Audio is now also available on SoundCloud. Both the Eligibility Guidelines and the Professional Development Request are below this post. Disregard the line that says: “Application for funds and receipts must be submitted to the Union on the approved form within 15 days of the event.” You must submit your receipts within 15 days of the event. If you meet the eligibility guidelines, complete the Funding Request and submit it electronically. Keep all receipts for travel, lodging and registration fees. Meals are not included. Look for your reimbursement in your regular bi-monthly pay. Here may be found the Eligibility Guidelines and Reimbursement Procedures for Professional Development. Read more »Posted in Professional Development. 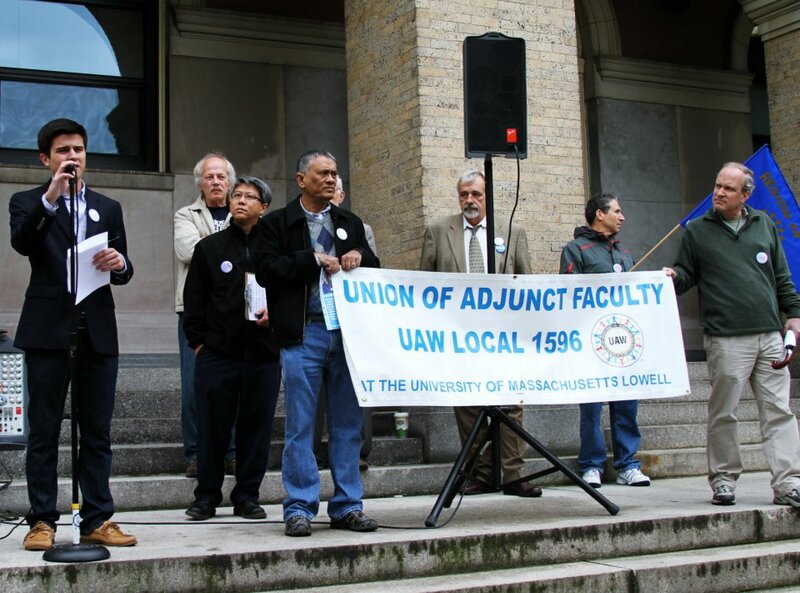 UML Adjunct Faculty deserve equal pay and benefits as Adjunct Faculty at Boston and Amherst. Student tuition is almost equal. 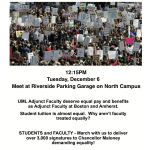 Why aren’t faculty treated equally? 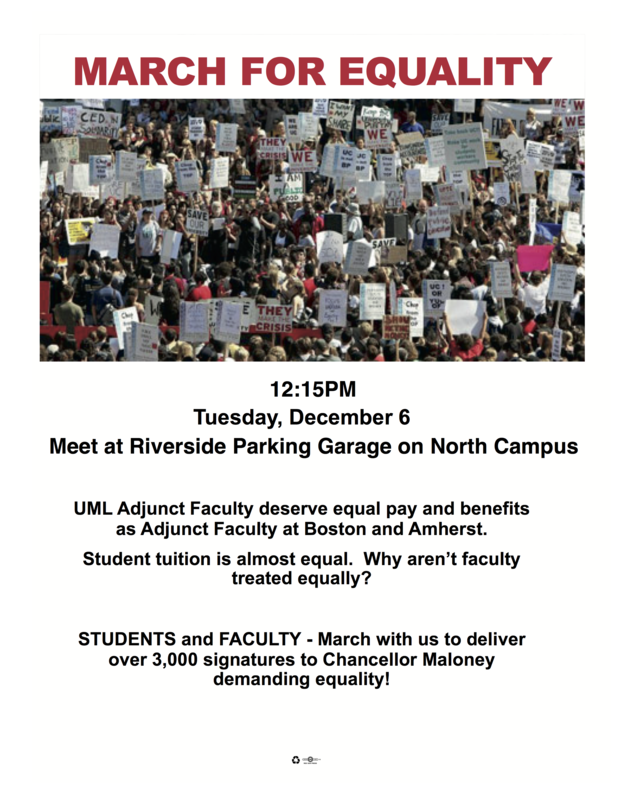 STUDENTS and FACULTY – March with us to deliver over 3,000 signatures to Chancellor Maloney demanding equality!